Amid the deep crisis that Venezuela is going through, the national coordination of our organization, together with a representation of our international current, the Anticapitalist Network, has analyzed, evaluated, and reevaluated Venezuela’s political situation. We looked at what has . . . Hands Off Venezuela! For Socialist Democracy! 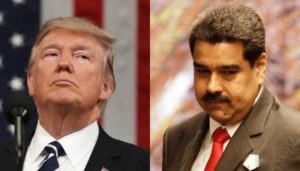 The foul, brutal hands of U.S. imperialism and its allies are tightening around Venezuela, and there is a strong possibility that a far-right takeover will occur in the near future. This would extinguish the last vestiges of the left-of-center Pink . . . The troops gathering on the borders between Venezuela and Brazil and Colombia are no less threatening to Venezuela because they claim to be protecting a ‘humanitarian convoy’. And Richard Branson’s concert simply provides another cover to conceal the real purposes . . .
Venezuela has made headlines in the last few weeks, as Venezuelan opposition leader and National Assembly head Juan Guaidó has declared himself interim President, throwing the country into turmoil. 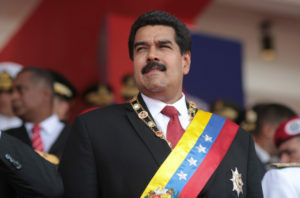 Current President, Nicolás Maduro has called the effort a coup. Meanwhile, . . . The tremendous economic, political and moral crisis that Venezuela is going through has not only sunk millions of people’s living and working conditions, but also the political programs that appear confronted to the death in a highly politicized stage. It . . . The following statement was issued by Marea Socialista, a Venezuelan organization. 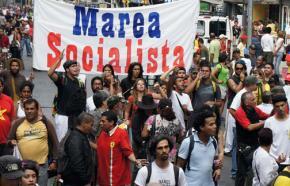 The Venezuelan people, mobilized along all social sectors and taking to the streets from the poor . . . 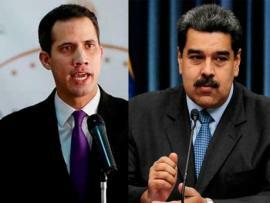 Right-wing opposition leader Juan Guaidó has declared himself interim president of Venezuela against sitting President Nicolás Maduro, and he was immediately recognized by the U.S. government and a range of authoritarian leaders in Latin America. Here, the International Socialist Organization states its . . . Things are approaching a crisis point in the long battle of wills between Venezuela and the White House. 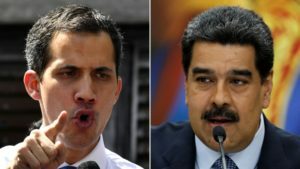 Juan Guaidó, president of the opposition-controlled National Assembly, swore himself in as the country’s “interim president” before a crowd of tens (by . . . This statement was issued by the PRT, Mexican section of the Fourth International, on 23 January 2019. The Workers’ Revolutionary Party (PRT) stands emphatically against the new attempted coup d’état and imperialist intervention against Venezuela. In an open and cynically orchestrated . . . Collapsing wages, food shortages, and rampant inflation have led to growing hunger and desperation in Venezuela. Recent videos illustrate just how desperate the situation has become, as hungry people chase down livestock in the fields to butcher it for its meat, or skin dogs and cats on the streets of Caracas. Violent food-related protests have erupted in various cities around the country, and the looting of grocery stores is becoming more and more widespread. Meanwhile, thousands of Venezuelans are flooding across the borders into neighboring countries. 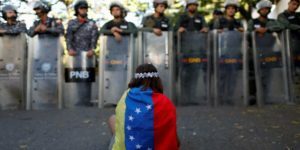 How Should the Left Respond in Venezuela? 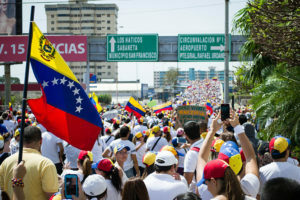 Following recent elections that were widely boycotted, a Constituent Assembly charged with rewriting the Venezuelan constitution met in early August. Venezuelan President Nicolás Maduro called for the Constituent Assembly in May, proposing it as a solution to the crisis that Venezuela has faced in recent years. The U.S., the right-wing opposition in Venezuela and the Washington's European and Latin American allies denounced the Constituent Assembly as an undemocratic power grab. When the "Constituent" convened, the Trump administration announced new sanctions against Venezuela. The Venezuelan Constituent Assembly Election–What's at Stake? On Sunday 30 July, so-called elections took place to a so-called Constituent Assembly in Venezuela. It is important, for the future, the revolution, and democracy, not to fool ourselves about the meanings of the words being used here. For all Venezuelans, there can be no doubt: what was elected today has nothing in common with a sovereign constituent assembly. By “a sovereign constituent assembly.” we mean one which exercises power. Venezuela: for sale to the highest bidder? 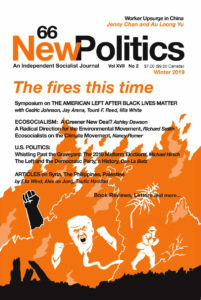 The Bolivarian revolution led by Hugo Chavez from 1999, opened a new chapter in the global struggle for social justice. For anti-capitalists across the world, his ‘21st century socialism’ pointed ahead to a new kind of power, defined in the Bolivarian Constitution as “participativa y protagonista” – a participatory democracy in which the people were the active subjects. It is hard to reconcile that hope with the realities of Venezuela today. The spokespersons of the new State continue to proclaim their revolutionary credentials. Yet they oversee a society in profound and worsening crisis, where hunger has reappeared in a country which just four years ago was congratulated by the U.N. for its virtual elimination of extreme poverty. The right wing media – nationally and internationally – have taken great delight in publishing photographs of food queues marshalled and overseen by armed National Guards. The supporters of Chavismo instinctively refuse to believe the images. But the social crisis they symbolize is real. 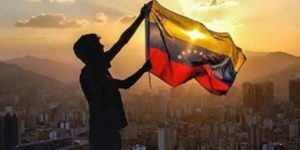 In recent weeks, a number of Venezuelan specialists on the left side of the political spectrum have published and posted pieces that place them in an anti-Chavista, “ni-ni” position that consists of “a plague on both your houses” with regard to Maduro and the Venezuelan opposition. Certainly, at this moment the Chavistas are playing hard ball; the options available to them are limited. Venezuela is torn between the destabilising attempts of the right-wing, the limits of the Bolivarian process and the possibility the working class and the popular movements will advance the [revolutionary] project, [but] not without tensions and contradictions. “Today the counter-revolutionary Right is reactivating itself,” according to long-time Venezuelan revolutionary Roland Denis, “taking advantage of the profound deterioration that this slow revolutionary process is suffering. The inner-city parish of La Vega sits in the lush mountain terrain of Western Caracas. Roughly 130,000 poor residents are cordoned off sociologically from nearby El Paraíso, a wealthy neighborhood that supplies the clients for the upscale shopping center that separates the two communities. In La Vega, the bottom 20 percent of households live on US$125 per month, while the average family income is $US409. Venezuela, a moderately prosperous nation with rosy relations with both the United States and global capital, was an unlikely setting for a socialist renaissance. The 1998 election of Hugo Chávez appeared to be nothing more than a parliamentary victory for a bombastic social democrat, surprising but hardly epochal.